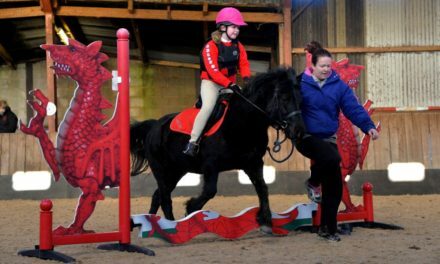 It was awesome – the 16 members of Flint and Denbigh Pony Club flew the flag with honours. There were 100+ entries from 14 Branches and competition was fierce. Our “Denbigh” team; Archie Lynch, William Stone, Leah Lamb and Imogen Kissane clinched FIRST team place (by 80 points) out of 24 teams. Individually, they were 1st, 2nd, 2nd and 6th in their respective classes. We were so very proud of this achievement. I cannot mention every member but notably; Lleucu Newton showed great promise by getting top run and top swim, Little Elsie Lynch needs to practise swimming straight, Daisy Stone (3rd) had top shoot and Orla Kissane, shooting competitively for the first time ran and swam like a pocket rocket! In Intro Boys, Huw Lynch came 3rd, in Mini Girls Leah Lamb 2nd with a PB swim of 5:4m and Margaret Pownall had an excellent swim of 5:18m. 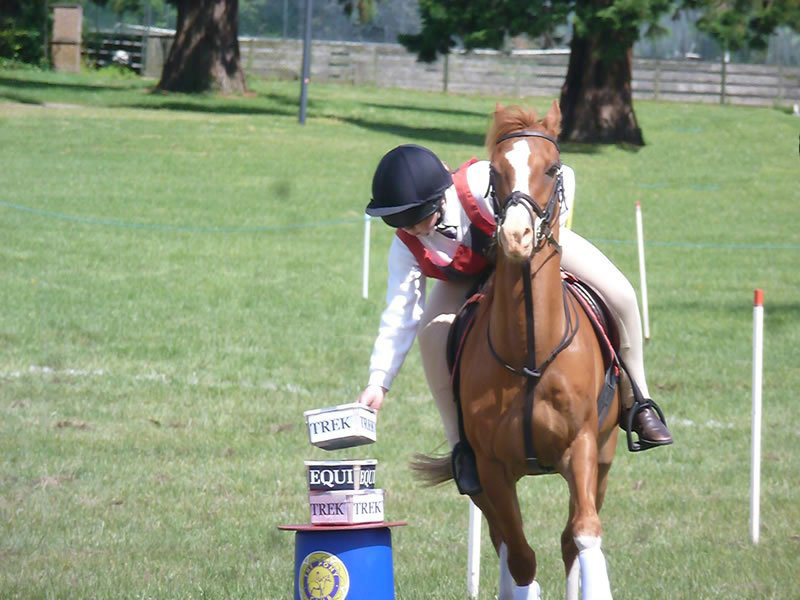 It was lovely to have Isabella back after her nasty leg break and welcome to Lili Evans who shows promise. Archie Lynch (1st) had top swim. William Stone, who had man flu on the day came 2nd with top run and top swim. He was competing in Juniors for the first time and had to shoot 1-handed. This is the 2nd of a Trio of Triathlons and our members are in strong positions. 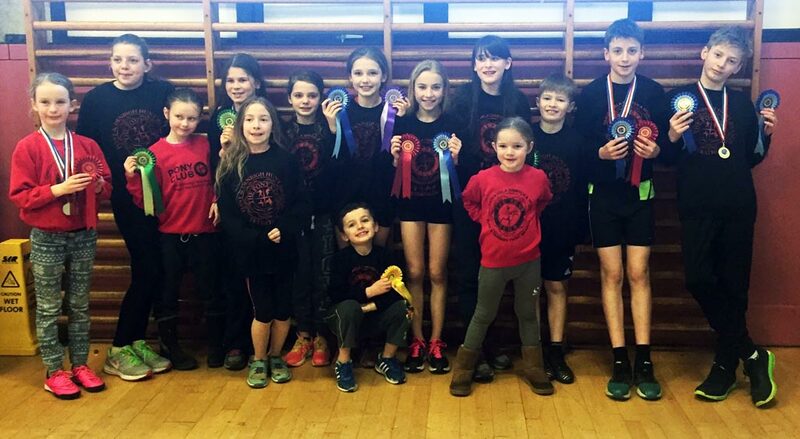 William is lying 2nd in Junior Boys, Archie 1st in Mini Boys by a large margin, Leah Lamb 3rd in Mini Girls and Imogen 5th, Huw Lynch 2nd in Intro Boys, Daisy Stone 4th in Intro Girls and Lleucu Newton 2nd in Beanie Girls. Well done FnD and especially for supporting each other on the day.